Mixed Reality has become popular in the last few years as a mechanism to immerse users more in the digital world. Through Virtual Reality, Augmented Reality and other Mixed Reality Technologies, organisations are looking to blend the digital and the physical, creating a new blended reality that gives users a seamless digital experience. This technology can be used for many purposes, but one that is worth investigating is education, where the use of digital artefacts and mixed reality technology provides new experiences that can encourage different approaches to learning. Through a close collaboration with The Mixed Reality Research Lab (www.mixedrealityresearch.com) and Dr James Birt at Bond University, we have been investigating the use of Mixed Reality as a tool to assist with improving pedagogy in the schooling and higher education spaces. Projects in paramedics education, computer science education and information systems education highlight the ways that mixed reality can change the approach used in the classroom, enhancing engagement and improving student learning outcomes. To discuss this project with members of the lab, please contact Dr Michael Cowling via the contacts page of this site, or visit The Mixed Reality Research Lab at www.mixedrealityresearch.com. 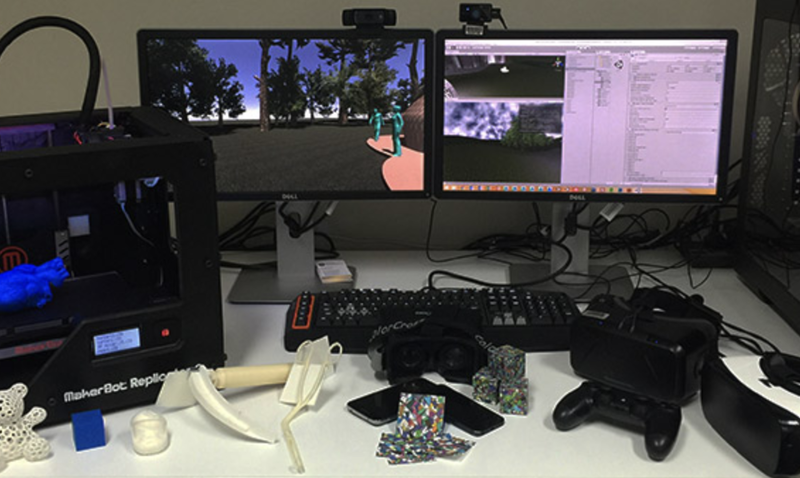 Improving paramedic distance education through mobile mixed reality simulation.